I would like to quickly share my first “non-assisted” Online Shopping Experience with Selfridges UK and also some first impressions about these Tom Ford Lip Color Sheers. I always bought from Selfridges via my contact in Suqqu, shipping was more expensive but at least it was the best way for me to get hold of any Suqqu items I wanted. Last Friday I wanted to try the online international shopping and today I am sharing my experience because it was smooth and lightning fast. I placed my order on the 31st in the evening (Friday). Tonight, Tuesday, they were in my letter box, no additional taxes to be paid, no needed days off to go pick up my parcel in the middle of nowhere. The shipping to Switzerland is £15. I find this shipping rate scary but for the good reasons. Why bother buy in Switzerland when it’s so much cheaper and easier in the UK ? A Tom Ford lipstick costs 36£, they removed the UK vat and added the Swiss vat, which makes the lipstick at 30£ “only”. Unless I have a surprise and receive a separate invoice, all is settled automatically! Since I didn’t had to sign, I guess all has been organized for the international customer to not have to bother with either paying double vat or having to pay extra charges on delivery. A-M-A-Z-I-N-G ! The packaging has suffered slightly because there was only silk paper and no bubble wrap but the items inside are not damaged at all. 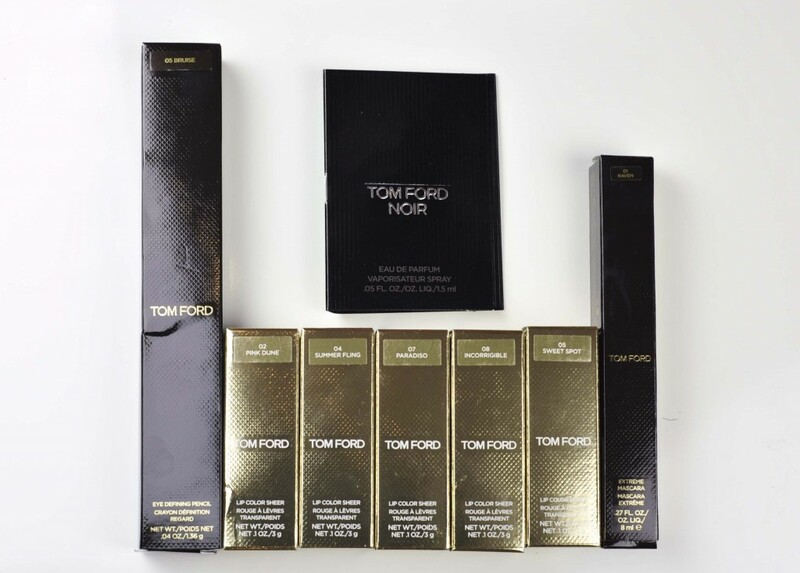 They included a sample of Tom Ford Noir, I love it, I will try to have it adopted by my BF! He sniffed it and thinks it’s a women’s perfume, maybe I should use it but I am still madly in love with the TF Neroli Portofino (for both man and woman), discovered thanks to Stacy who sent me a sample (bless you!!) and since TF fragrances can be layered, even more fun! The five lipsticks below are some of the Lip Color Sheers, Spring 2014 limited edition. The TF Sheers have good pigmentation, to be called Sheers is bit misleading 🙂 some are heavily pigmented. I thought Pink Dune could be the very High End dupe for the Mac Marquise D that I love. It’s not, the Marquise D is more opaque, has more pink and is warmer. Pink Dune is less complex than I expected (well it doesn’t look complex on my lips, let’s see tomorrow in day light….). The TF gloss Pink Guilt is much more brilliant and unique. I have mixed feelings about these, even though I had them for only a couple of hours I have been playing with each one of them already. I knew that some complained or mentioned glitter in some of them. I confirm, Incorrigible and Summer Fling leave a noticeable gold glitter coat on the lips, truly difficult to remove when you are playing around with them 😛 It’s not glitter that I feel on the lips when they are savagely rubbed together and I am very sensitive to glitter to say the least, but I am not convinced that when the lipstick naturally fades, the gold coating will still look nice -not tacky. That’s something that I have to investigate. When applied, the glitter doesn’t really look visible at all. I thought Pink Dune would be the shade that most corresponds me but surprise… it’s Sweet Spot! 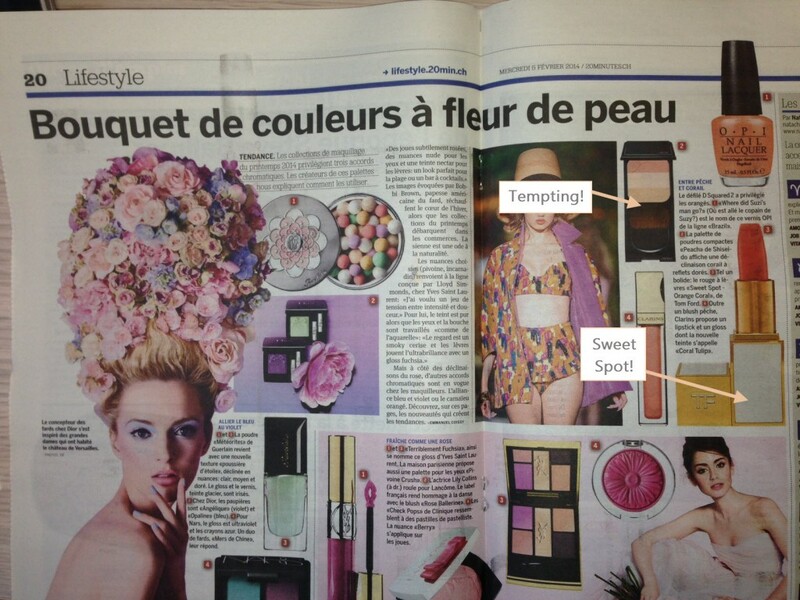 …and Sweet Spot with the TF Gloss Peach Absolut is a heavenly combination. I think it was a mistake that I purchased Incorrigible and still believe it’s a mistake after trying it, far too bright but you know what ? I think I have to wear them properly, then come back here with some conclusions. 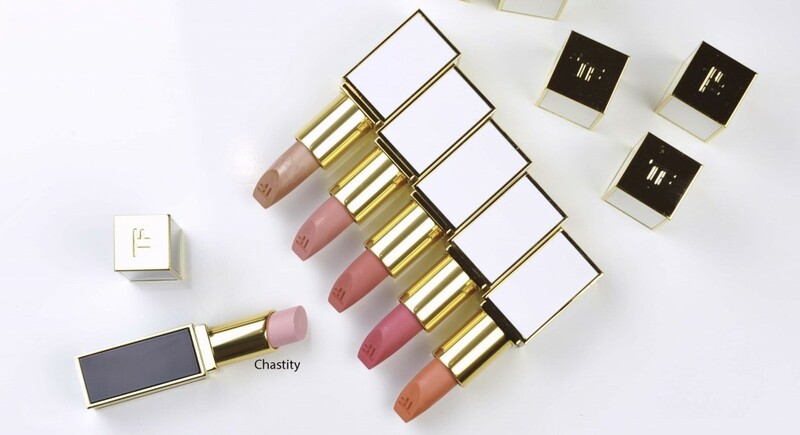 A sad fact is that bright lipsticks suit me less now, that’s why today I also purchased the Chastity Lip Color Shine, to layer with darker lipsticks, give some dimension and specially soften the look. As planned last night, today I am wearing Sweet Spot, with Ripe Peach as a blush, RMK contour and Bobbi Brown bronzer, a Three duo (the coral one). Totally based around corals/oranges. I don’t even know why they would advertise it here because it’s a very local newspaper and the only place where it would be available is Zurich but anyway, shame they didn’t published this yesterday because we have a tiny Tom Ford counter in Geneva with just some of the lipsticks and when I asked them yesterday if they would receive these Sheers, they had not even heard of this collection. They called the manager and this collection will not hit the Geneva counters but will be only in Jelmoli Zurich. If anyone from Switzerland comes across this page while desperately seeking Tom Ford Sheers, you’ll have to either go to Zurich or order online in other countries. 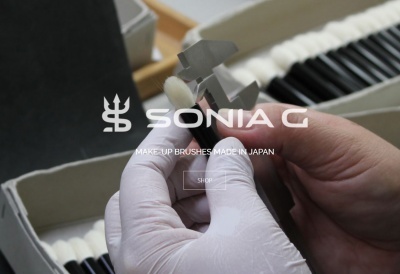 Selfridges Online Shopping and Tom Ford Lip Color Sheers was last modified: September 24th, 2014 by Sonia G.
Since i dont use lipsticks very often and only like sheer light colors i think i should give them a miss. Bright cheek colors are great too 😀 what’s your brightest one ?? 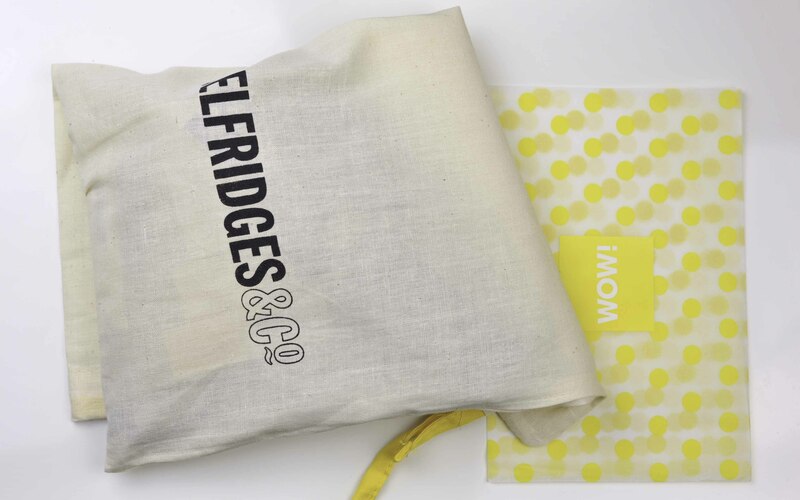 Thanks for sharing your Selfridges order experience — I’m happy that it was positive! My credit card was compromised after going back and forth with email orders — yeah, I know, dumb of me and I knew better. Of course, I can’t really identify where the breach actually happened, could have been a multitude of other reasons, but I’ve been more careful since then. Now, just waiting until my order is large enough order to make the 25 GBP international shipping worthwhile! is 25gbp for outside Europe then ? Unfortunately, I was not able to identify where the breach occurred. I did though, do something I knew was not safe, that is transmit my credit card number via email — and my guess is that dumb move may have been the problem. And yes, the 25GBP is for outside Europe, which is much cheaper than the 56 GBP charged before they started online international ordering. But I am not clear whether the 25GBP includes the $20 DHL used to bill me separately for customs review after it arrived in the US. I doubt it — but overall, it still may be cheaper than Ichibankao if I have a large order since there is no VAT. 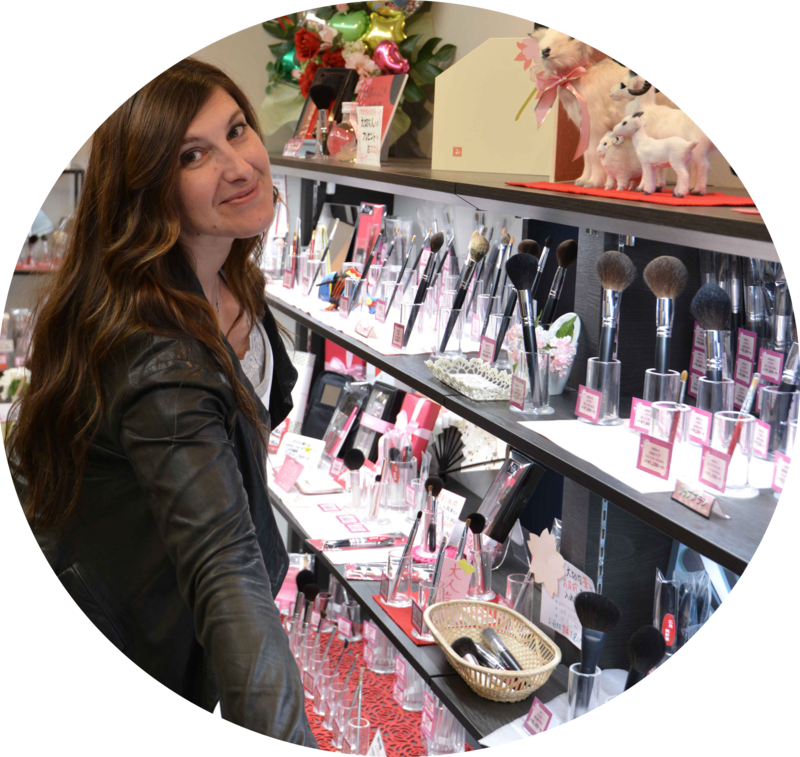 It’s really kind of crazy what we do for makeup! That’s the thing for now I didn’t have to pay the additional DHL cost.. we’ll see ! I am not sure if I should recommend it to you, for me it’s unique and it’s fine on my eyelids, doesn’t emphasize the ageing, I think that if you don’t want to keep it you can easily find other people interested on it, swap it or something 🙂 It is a particular colour I am surprised it goes on my skintone because it has quite a lot of blue but surprisingly, it does work very well. Oh, I know how much a set of fancy rims cost — I prefer stock as my rims get caught on curbs, ha, ha. I agree, Selfridges is SO fast, it is really a nice customer experience ordering from them. In comparison it seems that Harrod’s only ships once a week, no matter which day you order. So it takes a lot longer. It is really nice to receive orders from Selfridges so fast. I ordered once from Selfridges and also received my package super fast. The only thing I do not like is that there is no option to NOT include the VAT that they calculate for your country. I contacted them after placing my order and they refunded me by giving me a voucher code. They also charged me £25 for shipping then. Good to know that it has been lowered to £15 but like you said, it’s dangerous knowing that!! What was your experience with Barneys? I was thinking of placing an order with them. Try it with Barneys, for some weird reason my cc is not accepted, it does get debited for as many times as I confirm the order… (gasp) but nothing is received on their side. They also have paypal but only to deliver internationaly and not locally in the USA, since I wanted some Sue Devitt brushes plus Hourglass blushes, both the brushes and the Hourglass that were on preorder are not available for international dispatch… so … yes, they deliver internationally but really not preordered and not brushes (the ones I wanted and they weren’t all kolinsky… so I really don’t understand). Thank gawd we have some of the TF lipsticks here!